Is there a better alternative to cs-41 RPN calculator? Is cs-41 RPN calculator really the best app in Mathematics category? Will cs-41 RPN calculator work good on macOS 10.13.4? cs-41 RPN calculator is a remake of the amazing HP-41C/CV series of Hewlett-Packard RPN programmable calculators. It contains near all the built-in functions found in the original HP-41C (including sounds) and the ability to save and restore ilimited programs in "module" files, so you can modify routines, start new ones, erase the calculator's memory, quit and reopen the app without worry - the saved modules will remain intact to be restored when you need them. 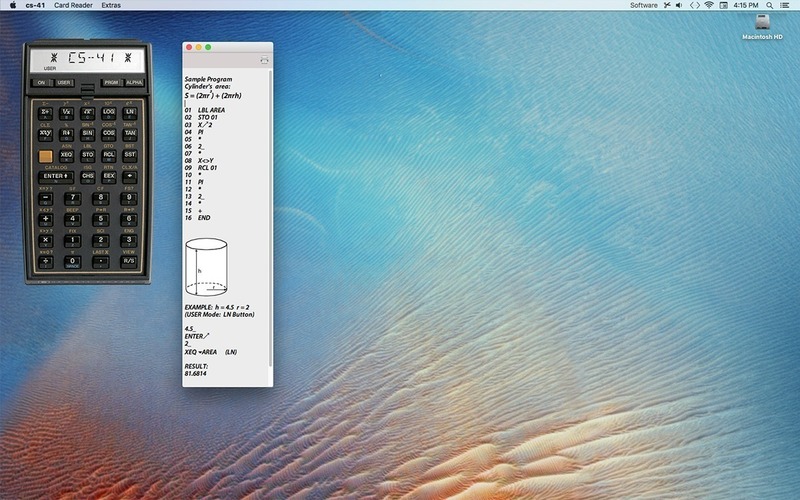 Some interface improvements for compatibility with Mac OS X El Capitan. cs-41 RPN calculator needs a rating. Be the first to rate this app and get the discussion started!